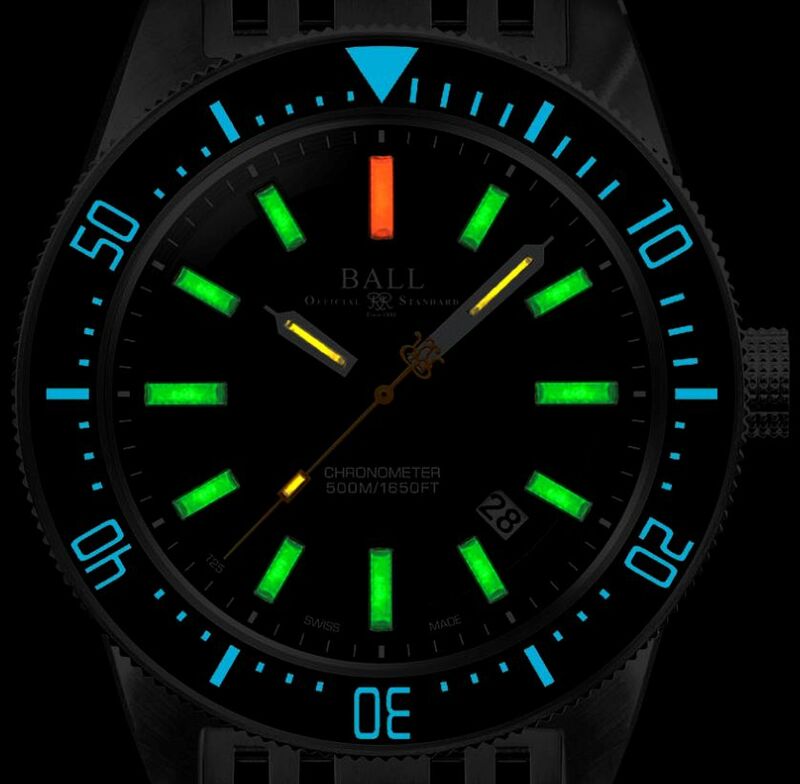 2015 Ball 43mm Skindiver II Diving Watch DM3108A-SCJ-BK Chronometer Last One! This watch is brand new in the box Unworn and Unsized. New 2015 release. Comes with rubber strap, changing tool and all boxes and papers. $2899.00 is the retail price for this just released model. 90 day warranty against any manufacturer defects, does not include normal wear and tear of course. Movement: ETA Cal. 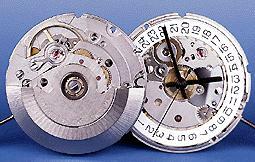 2824-2 25 jewels Swiss Automatic. Uni-Directional rotatingn ceramic, ratcheted, 0-60 Elapsed-Time. Black color. Black color. Luminocity by self-powered tritium filled (3H) micro gas tubes markers. 15 double sized micro gas light (3H) tubes on hour, minute, second hand and dial for night reading capability. Comes in set box with extra Ball Rubber band and changing tool. Last year, to many people's surprise, Ball discontinued the Engineer Master II Skindiver (DM2108A), the 40.5mm heritage diver that was based on the original Skindiver, their private label dive effort from the mid-1960s. The new Skindiver II (DM3108A) replaces the prior Skindiver. It has several points of differentiation and outright enhancement. From a size standpoint it's much larger. 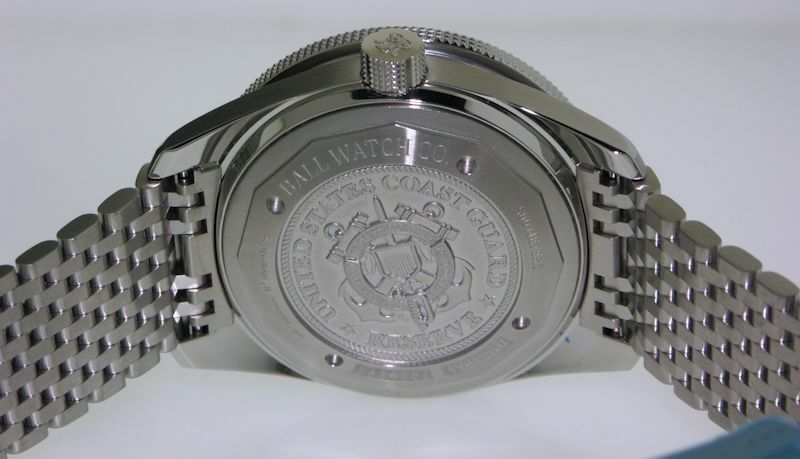 The prior Skindiver had a 40.5 mm case with a 20mm lug. The new Skindiver II boasts a 43mm case with 22mm lugs that has the feeling of even greater size due to some design attributes. First, there is much more open space on the dial. This has been achieved by bringing down the font and marker sizes on the bezel, and moving all of the indices other than the hour markers from the dial to the chapter ring. The chapter ring gives the watch much better flow. Rather than the straight metal ring of the original Skindiver, it is black and sloped inward creating a nice bridge between dial and bezel. The cut outs for tritium tubes are also a nice touch. Ball also eliminated the day feature which makes the watch seem bigger. The black insert of the Skindiver II is ceramic and has been updated with an attractive and functional hobnail finish. It is more expensive than the previous version of the Skindiver on a metal bracelet, but comes with a series of upgrades. In addition to the metal bracelet, a rubber strap with a tang buckle is included. Ball fans will recognize this as the standard issue band on the Ball Fireman Night Train II. The movement has been upgraded from an Elaborate Grade ETA to a COSC grade movement. The watch is also more professional grade. It now features an automatic helium release valve and its water resistance is increased from 300m to 500m. The lume has been upgraded as well. While still featuring the lower tritium threshold T25 permit, the tubes are substantially longer with colors that are more easily visible. While the Skindiver (DM2108A) featured a relatively pale blue tritium tubes at the twelve o'clock marker, the new Skindiver II features a distinctive orange tube at twelve o'clock and green tubes on the other markers.